Cave Tools Large Capacity Stainless Steel Smoker Box, because this is made of stainless steel, is 25% thicker and unlike most smoker boxes this one does not warp. It has a hinged lid for easy access to add more woodchips while you’re cooking or on-the-fly. Because of the size, it fits perfectly between flavorizer bars and grill grates or you can put it directly on top of the charcoal. There is no bottom hole to allow woodchips to smolder and catch fire. Has a lifetime satisfaction guarantee so any point if you become unhappy with your smoker box you can return it for full money back refund. 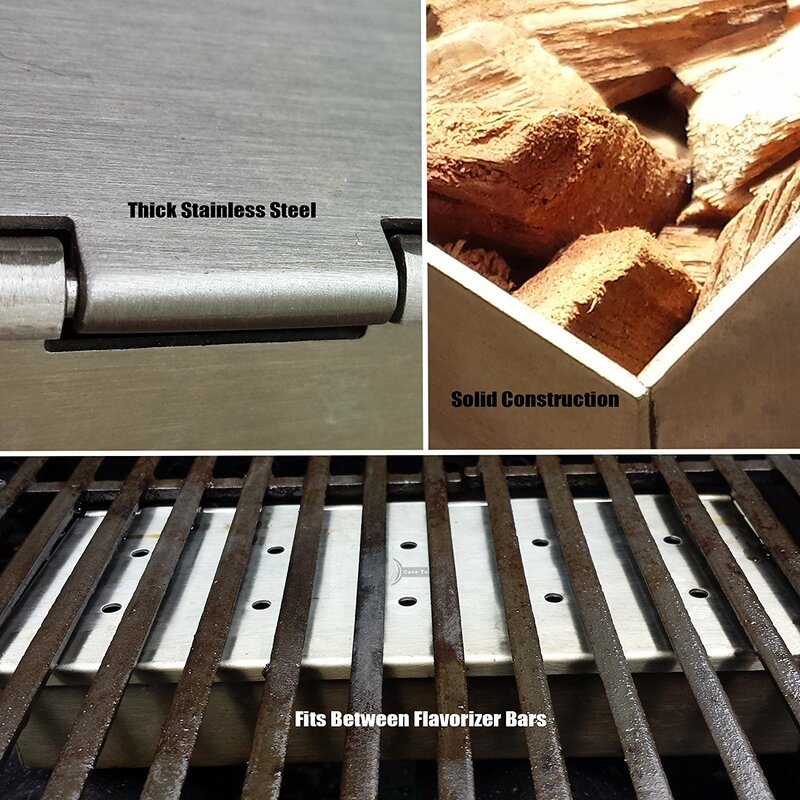 My Opinion: I found it was easy to use and place on my grill, the wood chips burned easily inside the box and the smoking started as well. I like the size and how great the food tasted on the grill. This is my first ever smoker box and I am truly impressed.